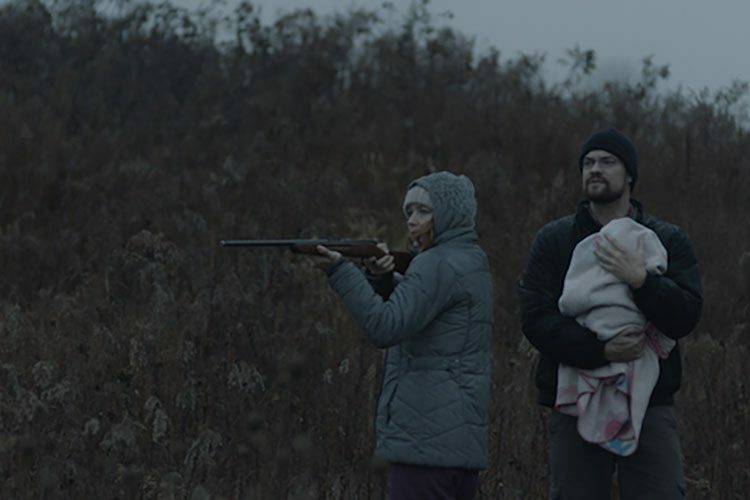 The feature film Here Alone won the Audience Award for Best Narrative Feature at Tribeca. Here Alone, an independent film by Rod Blackhurst ’02, won the Tribeca Film Festival’s Audience Award for Best Narrative Feature last week. In the movie, a young woman struggles to survive on her own in the wake of a mysterious, zombie-spawning epidemic that has decimated society and forced her deep into the unforgiving wilderness. The film was entirely self-financed (in part through a successful kickstarter campaign) and even self-cast — the lead actress, Lucy Walters, was approached via Twitter messages from Blackhurst. Tribeca audiences clearly agreed, giving Blackhurst and his crew the coveted top prize. Co-founded by Craig Hatkoff ’76, the Tribeca Film Festival saw controversy this year when the film Vaxxed was removed from the screening schedule. Colgate Professor Penny Lane wrote a post about the festival’s decision to screen the documentary, and numerous national and international media outlets quoted her words. CBS News included Lane’s words in its recap of the controversy as did the New York Times, Rolling Stone, the Guardian, and USA Today. In a fourth Tribeca-Colgate connection, The Return, which won the audience award in the documentary category, will soon air on the PBS series POV, produced by Chris White ’91.